If you're looking for some great deals to enjoy during your stay in Colorado's Wine Country, then you've come to the right place. 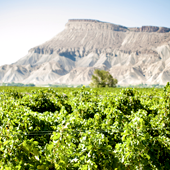 Find special offers for restaurants in Grand Junction as well as great savings on wine country tours, attractions, rentals and much more. 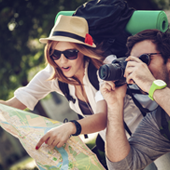 Sort coupons by type using the filters on the left side of the page to locate exactly what you need, and you're on your way to getting a great vacation for less money. Get $25 off your final total when purchasing 12 or more bottles. Bottles may be mixed & matched from Talon Winery, St. Kathryn Cellars, and Meadery of the Rockies. Mix and match any 6 bottles of St. Kathryn Cellars wine and receive a $10.00 discount. Mix and match any 12 bottles of St. Kathryn Cellars wine and receive a $25.00 discount. Get $10 off your final total when purchasing 6 or more bottles. Bottles may be mixed & matched from Talon Winery, St. Kathryn Cellars, and Meadery of the Rockies.